What the hell is Ashwagandha? What the hell is an adaptogen? Think of Adaptogens as herbs. These parts of plants have been used for centuries in ancient healing traditions such as Chinese Medicine and Ayurveda. So of course us good hippies, that want deep nutrition are bringing these to western medicine and to the masses. Adaptogents interact with the hypothalamic-pituitary-adrenal (HPA) axis and the adrenal system, both of which are involved in the body’s response to stress. Adaptogens may tweak hormone production and physiological responses to stress to ensure that your body—from your mind to your immune system to your energy levels—function as they should. There are many adaptogens out there and they do different things. I took this from The Medicine Hunter. It is a thorough representation. Ashwagandha: Of all the medicinal plants used in India’s several millennia old tradition of Ayurveda, Ashwagandha, Withania somnifera, is the most highly prized. Eleuthero: Employed in Traditional Chinese Medicine to invigorate sexual function, boost vital energy and normalize overall body functions, Eleuthero is classified as an adaptogen, enhancing immunity and vitality overall. Holy Basil: Holy Basil functions as an adaptogen, enhancing the body's natural response to physical and emotional stress. Adaptogenic herbs do not alter mood, but rather, they help the body function optimally during times of stress. Maca: Maca has been dubbed “Peruvian ginseng,” though it bears no relation to ginseng. But like ginseng, the root increases strength, energy, stamina, libido and sexual function. Panax Ginseng: Ginseng is a tonic herb used for rejuvenate and invigorate. It is considered an adaptogen, providing non-specific protection against various mental, physical and environmental forms of stress. Rhodiola Rosea: A well studied adaptogen, Rhodiola defends the body overall, and protects general health and well-being. Its anti-stress and fatigue-fighting properties make it one of the most popular botanicals in all of Siberia. Schisandra: Schisandra is a potent general tonic, decreasing fatigue, enhancing physical performance, and promoting endurance. The berry counters stress by reducing the levels of stress hormones in the blood. In a quick sentence - they help you handle stress. While more research is needed, these adaptogens may do for your adrenal glands and HPA axis what exercise does for muscles. If you have any kind of autoimmune condition these might be a fit for you. As I always say, talk with your doctor before starting a new supplements. In my mind, anything that helps you handle stress is a win. I will say this, however - if you are relying on supplements to handle your stress, take a big, LONG look at your life and how you can simplify it. This is a good place to start. It’s the best $10 you’ll ever spend. As a nation we glorify busy. It’s time to stop that. Back to the adaptogens. Anything that will feed my neurotransmitters and help lessen the effect of autoimmune disease and all I have to do is put it in my tea? Pick me! 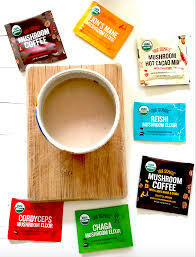 Adaptogens come in lots of different forms, including pills that resemble vitamins; tinctures that can be mixed with water; powders, which you can throw into a smoothie and as teas. There’s no “right” way to consume them,because it’s really a matter of personal taste. Many people take adaptogens almost every day,(me) while others will take them several times a day based on their needs (check with a professional for guidance about what’s right for you). There are recommendations that you take a day off from your adaptogens each week; if you’re using them for more than six weeks, to also take a full week off; and if you’re using them for six months, to take a full month off. (These little breaks are said to let the herbs really take effect in your system). If you don’t notice a difference instantly, be patient adaptogens are powerful, but slow-acting, so it can take up to a few weeks to notice a difference. Anima Mundi - recommended by my friend Kelly, owner of Squeeze Juiceworks. She’s always a front runner on these things. I really like that Anima Mundi sends you emails with TONS of information. They are really fun. Use discount code "FARMTOPHARMACY" to receive 10% OFF! 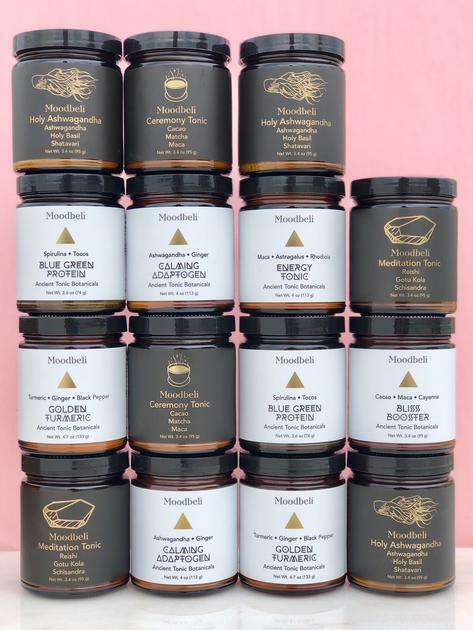 Moodbeli - These are great and I think you get a great deal for your dollar. I like all the different variations and recommend the trial sleeves to see what strikes your fancy. Use code RADIANT for 15% off and tell them Debbie Marlowe sent you! Four Sigmatic - These are the most mainstream and they come in handy little travel packets. Easy Peasy. Everything is already mixed and you don’t have to think about anything. The Golden Chai Latte is my favorite. If you subscribe, you’ll get 20% off all things. Plus use the code SEPTEMBER for an additional 5%. PS - I spend my own money on these. I’m not currently an affiliate. I hope this clears some things up for you. If you have additional questions feel free to drop me a line or DM. Until we meet again, feed that body of yours deeply!